DESERT was founded in 2002 by guitarist Max Shafranski in one of Israel's industrial and cultural centers, the city of Beer-Sheva. The band's name was chosen for a reason that it was located in the middle of biblical sands where Moses has led his people to the Promised Land ages ago. 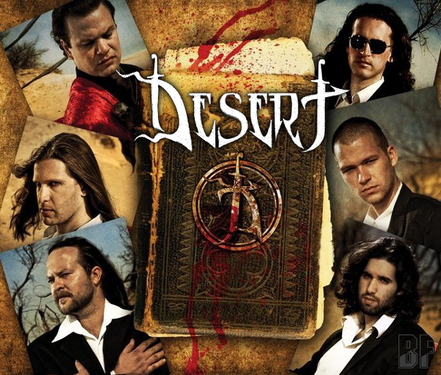 DESERT has released a self-produced EP "Prophecy of The Madman" in 2006, received positive reviews in webzines all over the world. 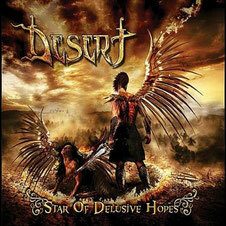 DESERT's debut album, entitled "Star of Delusive Hopes", was released in late 2010 through the Greek label Sleaszy Rider. The internet single "Lament for Soldier's Glory", featuring a guest performance by Joakim Broden, the lead singer of SABATON, received an instant recognition by fans in both Israel and Europe. "Star of Delusive Hopes" tells stories of great men and women who lived and gave their for freedom and beliefs, stories of lost hopes and betrayal. The lyrics describe great deeds by Giordano Bruno, Joan of Arc, heroes of Masada citadel, and unknown soldiers who fought and died on the fields in Russia. The material was recorded in June 2009 under the supervision of producer Nick Savio (WHITE SKULL, CYBER CROSS) in town of Vicenza, Italy. Mixing and mastering were done by Andy LaRocque - the legendary Grammy-nominated guitarist of KING DIAMOND in his own Sonic Train studio in Varberg, Sweden.